This charming production tells the true story of Tomás Rivera, the son of migrant farm workers who is exposed the joy of reading by a warm-hearted librarian. The beloved 1965 animated Christmas special comes to life in an amusing staging by the Magik Theatre company. 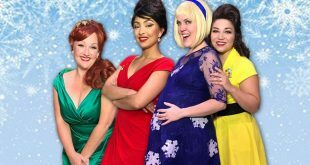 This bouncy treat is a must-see for San Antonio theatergoers in search of holiday cheer. The San Antonio performer and playwright talks about the theater scene in the Alamo City and her new work now playing at the Overtime Theater. The famed playwright's colorful characters come to vibrant life in the Classic's new production. The Tony-nominated musical comes to the Deco District's Woodlawn Theatre in a sparkling, superbly-acted production. The director discusses his involvement with – and affection for – the play which is making a special return engagement to the Classic Theatre.